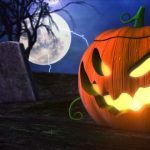 CHESAPEAKE, Va. (AP) — A Virginia city’s penalty of jail time for teenage trick-or-treaters has scared up some ridicule and a possible policy change. The Chesapeake City Council is set to vote Tuesday on an amendment to a 50-year-old law that threatens teens with up to six months in jail if they go door-to-door in pursuit of candy on Oct. 31. The Virginian-Pilot reports no teens have ever actually been arrested under the ordinance. But it made news last Halloween, ending up parodied on “Jimmy Kimmel Live!” Mayor Rick West says the town’s sudden infamy left him sleepless. The amendment would eliminate the jail penalty. Trick-or-treating past the age of 12 instead would carry fines of up to $250, as would violating the 8 p.m. curfew. The proposed policy mirrors that of neighboring cities.